First off: the kit lives up to the hype. Eduard has now done for the Fw-190 what they did for the Spitfire Merlin-60 series and the Bf-109G. Interesting note: all the parts to do all the versions are there on the sprues. 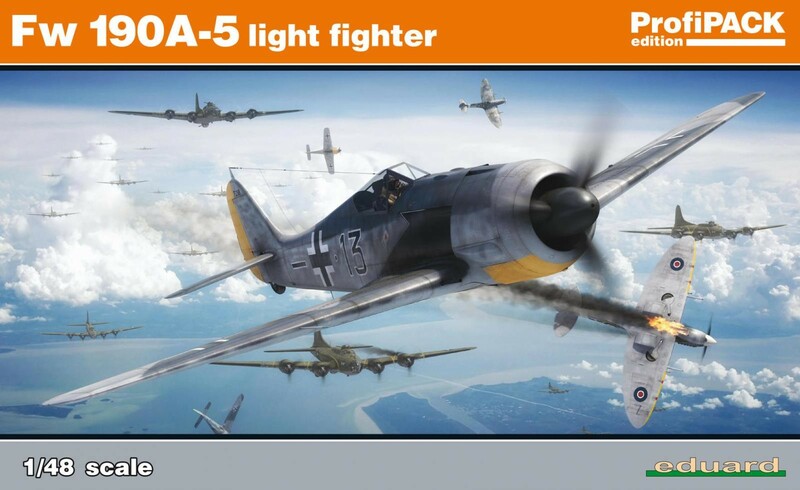 If you get the Fw-190A-5 kit, you can do an Fw-190A-5, A-6, A-7, A-8, A-8 night fighter with radar, F-3 and F-8. One detail to watch for: as with most kit manufacturers, they includ the hatch for the GM2 tank on the lower rear fuselage in the lower wing part. If you’re doing anything before an A-8, you need to fill that in. The landing gear (where many modelers come a cropper trying to get the angles right) is fool proof (it may not be i***t-proof, so do still take a bit of care). It fits together better and easier than any other Fw-190 kit. If you can touch your nose three times in succession with your forefinger, you will have no difficulty whatsoever with this kit. Thanks Tom. I want that butcherbird! Wow Tom, your disclaimer is a true public service! I had no idea that one could build all later version of the Anton 190 using the new A-5 mould. Thank you sincerely for the heads-up. Now where’s my wallet?? No images? Interesting overview but need a little visual umph to anchor the notes, although I see the A4 is listed as new tool in 2017. Same series? Yes, there’s lots of sprue shots out there – Eduard has them, I’m just “reporting from the workbench.” Best assembling kit other than WNW. Great group of notes, Tom. CAC CA 18 Mk 23 Mustang, A68-125, 77 Sqn RAAF, Pusan South Korea 1951.